Why Take X-Rays When You Already Have an MRI? Editor's Note: The following information is particularly relevant in light of new treatment guidelines by the American Heart Association and American College of Cardiology that many suggest will increase statin use dramatically; as well as the Food and Drug Administration's 2012 expanded advice on statins and their potential dangers / side effects. Musculoskeletal complaints are the chiropractor's specialty. However, we are not pharmacologists; therefore, drug-induced myopathy does not always enter into our differential diagnosis – especially if we graduated chiropractic college before statins were created (yours truly included). I have had minimal clinical experience with statin-induced myopathy, but several colleagues and close friends have personally experienced its debilitating effects. Two actually experienced such severe symptoms that they were unable to get out of bed due to pain and muscle weakness. This is considered a rare occurrence. In fact, clinical trials have reported myalgia only in 1 percent to 5 percent of patients. More recently, however, observational studies suggest the frequency of statin myopathy to be 9-20 percent. Because the patients we see in practice have mainly musculoskeletal disorders, I wonder how common statin myopathy is in our patient population. Recently, Robert Warsak, DC, shared the clinical histories of some of his patients who suffered from this problem. One of his most disconcerting histories was regarding a patient who came to him with complaints of back and leg pain, and a positive MRI for a disc herniation. 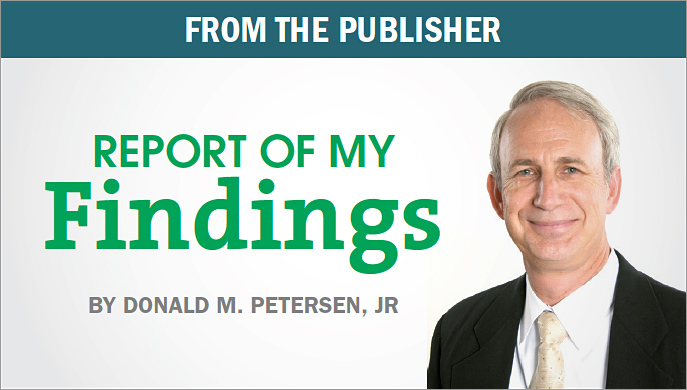 He examined her and could not find one neurological or orthopedic test that indicated a disc lesion, despite the fact that the patient's orthopedist had her scheduled for back surgery. Fortunately, she went to see Dr. Warsak before having the surgery. It turned out that her pain was caused by the Lipitor she was taking. Once she stopped the Lipitor and he treated her a few times, she was pain free. Of course, she is very grateful, but it begs the question as to how often this misdiagnosis occurs with possible catastrophic results. I am not suggesting that you recommend patients stop their statins, but we should add statin myopathy to our list of possible causes of musculoskeletal complaints. Admittedly, statin myopathy is not my first consideration when a patient comes in with complaints of lower back and leg pain – especially when the patient has been examined by other medical doctors and has had an MRI with a finding of a disc herniation. I might be tempted to "go along" with the diagnosis. This is what impresses me about Dr. Warsak. He did not make any assumptions. He examined the patient without being influenced by the previous diagnosis and MRI report. Following his orthopedic and neurologic examination, he discovered that the clinical findings just did not add up with the suggested diagnosis. I believe this is a very good lesson for all of us. We should not make any assumptions, even if the patient has been to see a specialist. Twenty-five percent of U.S. adults over the age of 45 are taking statins and that number continues to grow. There are multiple risk factors for statin-induced myopathy that are both patient related and drug related. Statin-induced myopathy has a complex, poorly understood, multifactorial pathophysiology. It is postulated that statin-induced myopathy is caused by apoptosis of the skeletal muscle cells due to disrupted intracellular calcium signaling and mitochondrial dysfunction secondary to the depletion of mevalonate metabolism products, particularly coenzyme Q10. By definition, myopathy is any pathology of the muscle. The spectrum of statin-induced myopathy can be classified into myalgia, myositis and rhabdomyolysis. Myalgia is defined as one or a combination of symptoms of muscle weakness, tenderness, or pain with normal or minimally elevated creatinine kinase. Myositis is defined as the presence of symptoms of muscle weakness, tenderness or pain with elevated creatine kinase up to 10-fold the normal level. Rhabdomyolysis is a syndrome characterized by muscle necrosis and the release of intracellular muscle constituents into the circulation; creatine kinase is markedly elevated, and muscle pain and myoglobinuria may be present. Rhabdomyolysis can be life-threatening, associated with extreme enzyme elevations, electrolyte imbalance, and acute kidney injury. It can cause potentially lethal acute degeneration of the skeletal muscle. Factors that may increase the risk of statin-induced myopathy include: advanced age (>80 years old); females with low BMI; multisystem diseases (for example, diabetes mellitus); diseases affecting kidney or liver function; hypothyroidism (untreated); drug interactions, especially with drugs that are inhibitors or substrates of the cytochrome P450 pathway (for example, nicotinic acid, calcium channel blockers, macrolide antibiotics, azole antifungals, warfarin); and genetic factors (for example, polymorphisms of the cytochrome P450 isoenzymes, inherited defects of muscle metabolism and traits that affect oxidative metabolism of fatty acids). If you are interested in a particular drug or disease that affects the P450 pathway, a good place to start is with the article I referenced: "Drug Interactions Due to Cytochrome P450," by Chris C. Ogu and Jan L. Maxa. This topic is far beyond my knowledge of pharmacology and biochemistry. Other factors that can cause a risk of statin myopathy are vigorous exercise, excess alcohol, concurrent infections, major surgery or trauma, and diet (excessive grapefruit or cranberry juice, or watercress). Diagnosing statin-induced myopathy is more a process of elimination. There is no test to date that confirms or rejects the diagnosis of statin toxicity. Findings from the history are very helpful. Many patients experience muscular symptoms with initial treatment with statins; however, within two weeks symptoms generally resolve. Symptoms that persist beyond the initial two weeks of treatment are likely due to the statin. Symptoms include symmetric burning or pain in the large muscles during exercise that the patient did not experience before starting the statin. Most patients cannot identify a trigger, but the ones that can usually have engaged in some unusually strenuous activity. Heaviness, stiffness or cramps are also predominate symptoms. Pain is diffuse and more common in the lower extremities. Physically active patients are more likely to suffer from muscle symptoms than sedentary patients. Also, if the patient has experienced muscular symptoms with other drugs or has a family history of muscle complaints, they seem to be more predisposed to statin toxicity. An interesting observational note is that patients with a history of chronic lower back pain due to lumbar radiculopathy tend to experience exacerbations when statin therapy is initiated. Knowing this is helpful when patients return to their chiropractor for care, but find the treatment that worked so well to alleviate their symptoms in the past doesn't work. Orthopedic and neurologic examinations often are unremarkable; focus on documenting any muscle atrophy, loss of tone, and strength while attempting to exclude tendinopathies, arthropathies, and myofascial pain syndromes. It should be noted that statins can also aggravate or reveal underlying musculoskeletal disorders. (See table 2 in the Fernandez, et al., article.) Asymmetric pain or pain involving joints and ligaments is less likely to be statin related. Laboratory evaluation should include serum CK levels, even though most patients with mild statin myopathy don't have elevated CK levels. If elevated, this is indicative of possible muscle damage. Vitamin D levels, C-reactive protein and TSH should also be evaluated. Obviously as chiropractors we do not want to take patients off their medication; therefore, once statin myopathy is suspected the patient should be referred back to their cardiologist and/or primary care doctor to manage. Even though we chiropractors don't treat patients with drugs or surgery, statins are such a common class of drugs that many of our patients are likely taking them and may be experiencing musculoskeletal symptoms as a result. This can confound the diagnosis. Dr. Barbara Roberts, in The Truth About Statins, states, "Patients should proceed with caution when considering statins; studies haven't shown that statins help women who don't already have heart disease, even if they have risk factors like obesity and family history." Dr. Roberts also states that long-term statin use may cause nerve damage. That damage often reverses, she says, but the process can take months. Even the Food and Drug Administration warns that taking statins slightly increases the risk of diabetes, even in people at a healthy weight and with no other risk factors. We all know that most cardiovascular disease can be managed with diet, but people are still being put on medications first, rather than being treated with a change in diet. There is a propensity in this country to prescribe too many drugs that may not even treat the cause of the disease. I am happy to say that generally this is not the case in our profession. That said, we still need to be careful not to assume that all musculoskeletal complaints are due to musculoskeletal disorders. Our patients are taking a multitude of medications. We need to be aware of which ones can cause or exacerbate musculoskeletal symptoms. Fernandez, et al. Statin myopathy: a common dilemma not reflected in clinical trials. Cleve Clinic J Med, June 2011;78(6). Dirks AJ, Jones KM. Statin-induced apoptosis and skeletal myopathy. Am J Physiol Cell Physiol, 2006;291(6):C1208-12. Thompson PD, Clarkson P, Karas RH. Statin-associated myopathy. JAMA, 2003;289(13):1681-90. Ogu CC, Maxa JL. Drug interactions due to cytochrome P450. Proc (Bayl Univ Med Cent), 2000 October;13(4):421-423. Click here for more information about Deborah Pate, DC, DACBR.